A Memorial Service in memory of Idena is scheduled for Wednesday, August 22, 2018 at 10:00 A.M. at The Church of Christ on Sunnyside Road in Montrose. The service will conclude at the church with burial to be held at a later date in Hollis Oklahoma, next to her first husband Glenn. 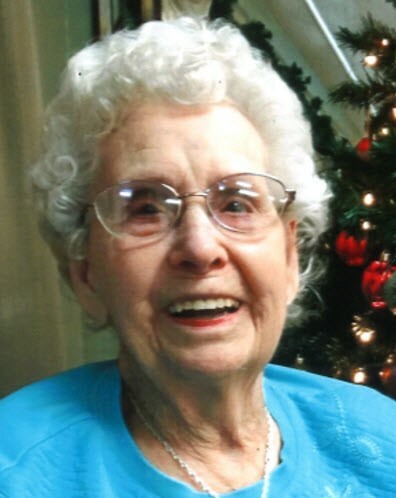 Idena Jordan Martin, age 98, of Montrose passed away August 15, 2018 at Valley Manor Care Center in Montrose. Idena was born June 27, 1920 to Ellsworth and Lottie (Williams) Gentry in Hollis, Oklahoma. 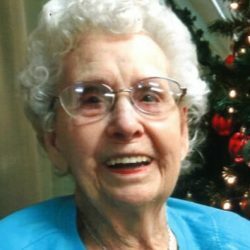 She married her husband Glenn Jordan on August 14, 1937 in Hollis and he preceded her in death on May 11, 1983 in Paonia, Colorado. Following his death, Idena married Vernon Martin, and he also preceded her in death. Idena was a member of the Church of Christ in Olathe, Co., and was a loving homemaker, wife, mother and grandmother. She enjoyed cooking, crafts of all kinds, crochet, knitting, but also painting and gardening. A Memorial Service in memory of Idena is scheduled for Wednesday, August 22, 2018 at 10:00 A.M. at The Church of Christ on Sunnyside Road in Montrose. The service will conclude at the church with burial to be held at a later date in Hollis Oklahoma, next to her first husband Glenn. Crippin Funeral Home & Crematory in Montrose in assisting the family.